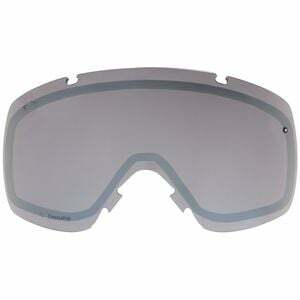 Product Condition: The I/O Replacement Goggles Lens is in Good condition. This item was previously owned for _______. The following observations were made concerning this item. Be sure to study all the options available out of the Smith I/O Replacement Goggles Lens, because they're more than just different colors. Each lens features the points mentioned above, like the spherical shape or 5X anti-fog inner lens, but some lenses in Smith's massive category are polarized to reduce glaring or mirrored to reduce reflection. Some even feature Smith's ChromaPop technology to enhance contrasts and make bright colors stand out better.